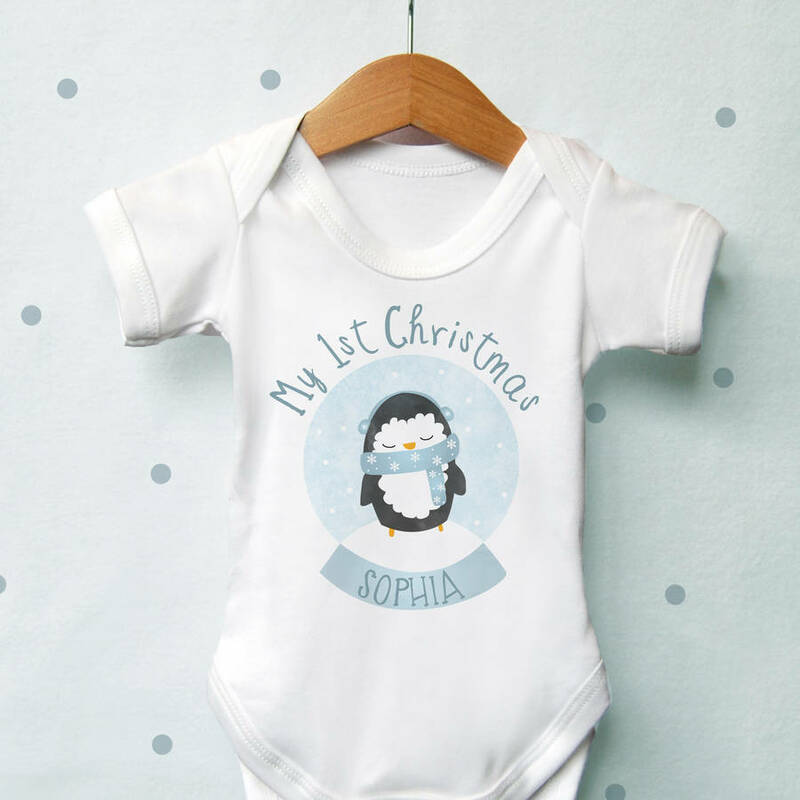 A cute personalised Christmas outfit featuring a cute little Penguin character in a snowglobe. Personalise this fun 1st Christmas outfit which is great gift for mums and dads who have had a special Christmas delivery this year! 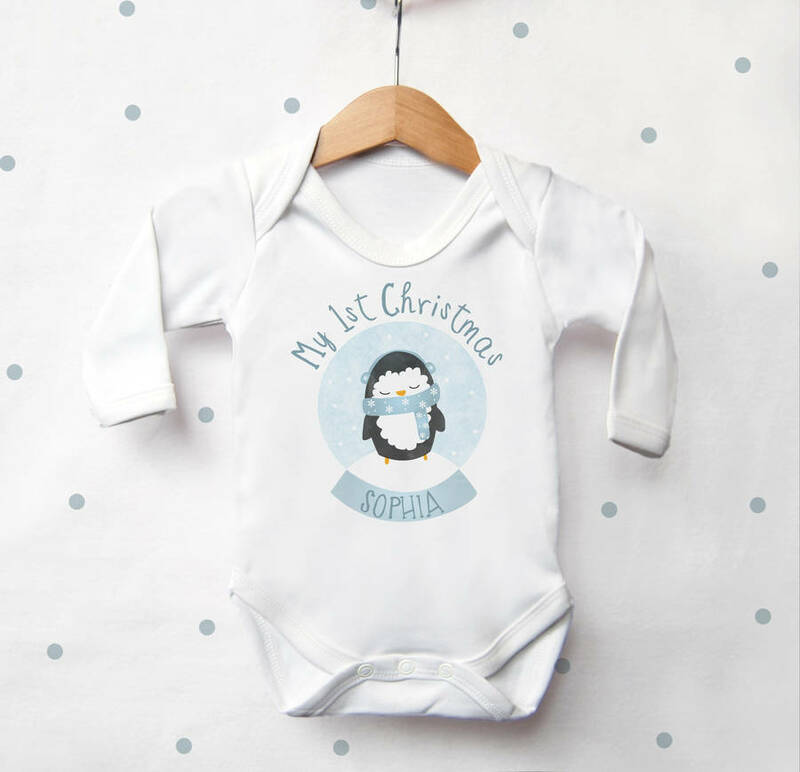 Great for baby's to wear on Christmas day and available in two style options it is easy to coordinate with. 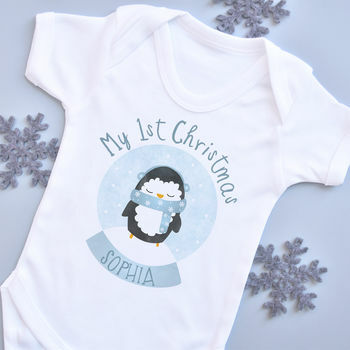 You have the option to add a personalised Name and the option to add the words 'My 1st Christmas'. This design is also available with a Gingerbread, Fox or Bear character, see our other items for these designs.